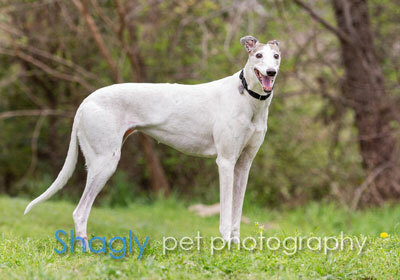 Connie, fka Countess, is a lovely 8 1/2 year old white and brindle female born on August 1, 2010. Her dam is Kiowa Witt Won and her sire is By Tar. Countess was not individually registered with the National Greyhound Association, and did not race. She is littermate to GALT's Princess and Duchess. 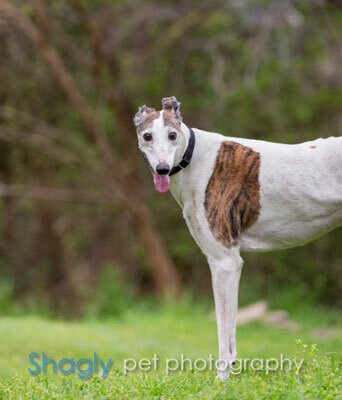 After six years in a home, she has returned to GALT through no fault of her own. Connie is ready to go to her happy retirement home without cats please.